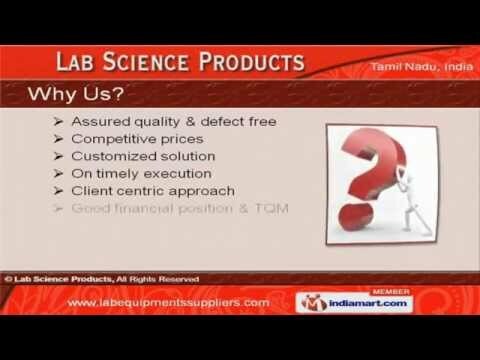 Welcome to Lab Science ProductsManufacturer & Exporter of Laboratory ProductsThe company was established in 2010 at Chennai. We Cater to Chemical Laboratories, Pharma & Forging Industry and we have spread our wings to Europe, Middle East, South EastAsia & other countries. Client centric approach, On timely execution & Competitive prices make us unique in theindustry. We offer a vast range of Laboratory Equipments, Scientific and Laboratory Apparatus. Peristaltic Pumps, Drying Ovens Suppliers & Humidity Chamber are the types of LaboratoryProducts that we offer. Our Laboratory Equipments are well known for their outstanding performance. Drying Oven, Rotary Evaporators & Melting Point Apparatus are a class apart. Orbital Shaker, Micro Centrifuge & Gas Chromatography under Analytical Laboratory Productsare best in the industry. We also provide Scientific and Laboratory Apparatus that are extremely reliable.